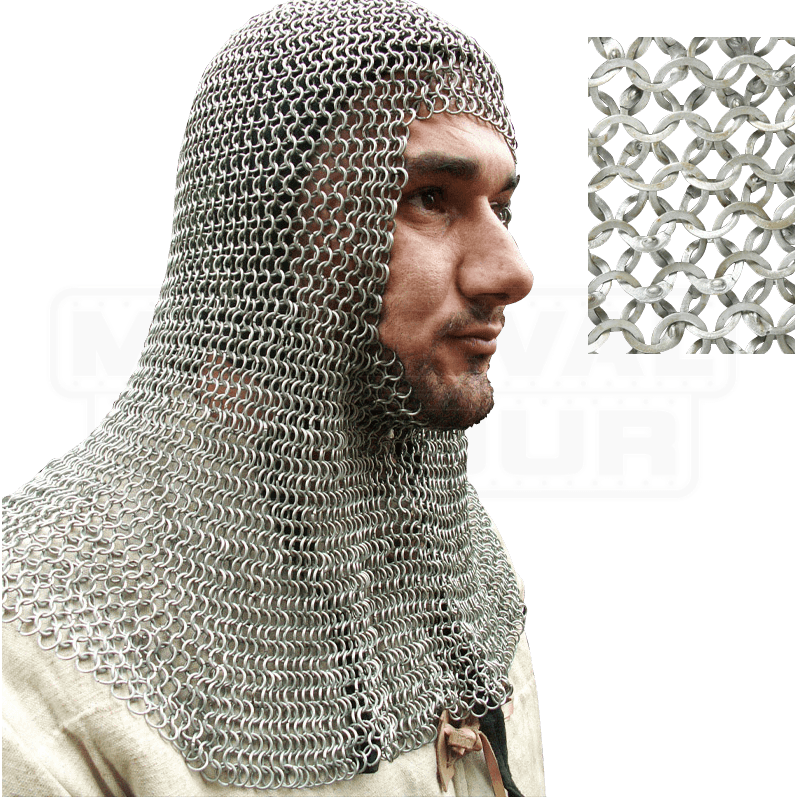 Wedge riveting, in association with flattened rings, became popular in the 1300s and was used until the demise of maille. Alternating rows of solid punched rings and riveted rings predominated until late in the period, when all-riveted construction became more popular. 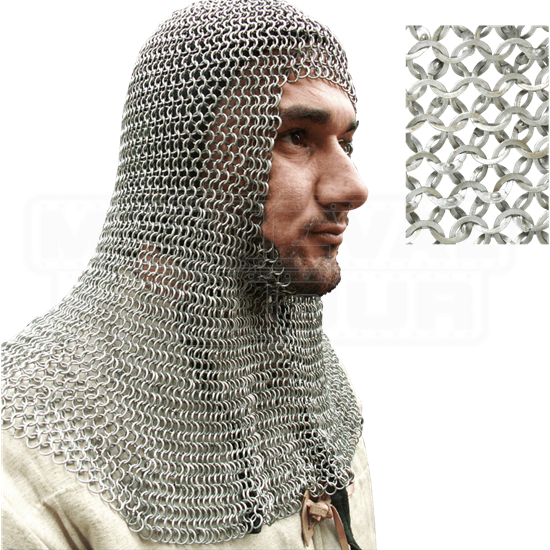 Available in steel only, this style of maille is our most authentic and is well able to withstand supervised weapons-contact re-enactment. Construction is in the 4 in 1 pattern. Full specifications and available finishes are shown against each specific item. The maille is supplied burnished to give a dark grey to black finish.